At Ardel Engineering & Manufacturing, we utilize electrical discharge machining (EDM) processes to create precision parts with very tight tolerances. In the wire electrical discharge machining process, a thin, electrically charged wire is used to erode material in very small volumes. The rate of material removal is dependent on the diameter of the wire and thickness of the work piece; larger diameters are used to make efficient rough cuts, while fine wire is used to meet tight dimensional tolerances and provide a very clean surface finish that requires no secondary grinding or honing. While wire EDM can be used to machine any conductive materials, it is most often employed for applications that require the machining of high strength alloys such as tool steels, Hastelloy™ and Monel, because the original property of the metal is preserved. Machining these materials using traditional milling methods is cumbersome as they can cause rapid wear of cutting tools and work harden as they are machined. Using a wire EDM, we can hold tolerances as tight as ±0.0001” on parts up to 12” in length, 10” in width, and 8” in height. 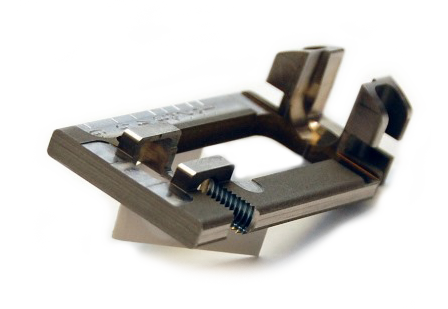 As a result of its ability to cut fine part features in hardened alloys, EDM is a natural choice in the machining of fixtures, inspection gauges, and other profile or contour work. This type of work is typically low volume, made from hardened materials, and requires a high degree of precision, factors that all lend themselves to electrical discharge machining. 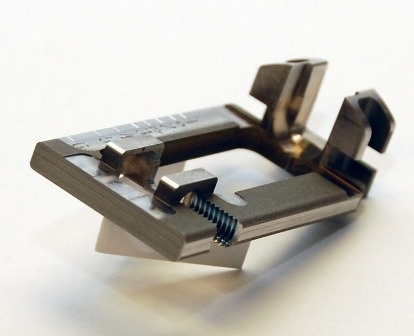 We can also use our EDM equipment to produce prototypes of extrusions for testing before customers invest in hard tooling, potentially saving customers thousands in engineering changes and production delays. Our dedication to providing the highest quality machined parts is backed by ISO 9001:2008 certification and ISO 13485 compliance, as well as a wealth of experience in the aerospace, medical, and commercial manufacturing industries. The lead time for prototype parts is typically 2 to 3 weeks with production generally requiring 4 to 6 weeks. We can also expedite rush orders for customers as needed to prevent costly downtime. For additional information about our precision wire electrical discharge machining capabilities, please refer to the specification table below or contact us directly.